Many people who see chiropractic doctors swear by their care; there are others who believe chiropractic care is not even medical care. How do you know if a chiropractor is the right choice for your particular situation, and what should you believe and not believe about chiropractic care in Owasso, OK? We will explore the many myths surrounding chiropractors and their care, and hopefully point you in the right direction! Probably the biggest misconception about chiropractors is that they are not “real” doctors. A chiropractor is a doctor, just not a medical doctor. A chiropractor is a specialist; just like you wouldn’t want a chiropractor working on your feet, you don’t want a podiatrist working on your spine! Chiropractors endure an extremely challenging educational process, similar to that of a medical doctor with the absence of surgery and pharmacology classes. As a matter of fact, some chiropractic majors also require 2 to 4 years of premed undergraduate classes before they begin the next 4 to 5 years in chiropractic college. Classes include radiology, neurology, physiology, pathology, bio-mechanics as well as the proper chiropractic techniques. Additional health care classes are required for graduation. In all, chiropractic students attend more classroom hours than medical students while both are in school! Next, a chiropractic student must finish several hundred hours of real patient management in a clinical setting, much like an externship. The student is supervised by a professional chiropractor as the student chiropractor hones his or her skills. At such time the student is prepared to graduate from the program, the new chiropractic doctor must complete four sets of national examinations and the state board examination. If the student passes, he or she has achieved their license to practice, also known as a DC degree, or Doctorate of Chiropractic degree. Chiropractors are considered licensed health care providers and they must complete continuing education classes to stay abreast of the newest technology and techniques. Once a doctor of chiropractic care is licensed in his or her state, they are subject to additional testing, licensing and monitoring by state and national boards. Chiropractors, like their medical doctor counterparts, can write sick leave certificates and are sanctioned by federal and state programs like Medicare, Medicaid and Workers’ Compensation. The biggest differences between medical doctors and chiropractic doctors is that the former can prescribe medication and in some instances, perform surgery. If you have an illness or require surgery, a medical doctor would be your best bet. If you have soft tissue damage, an injury to the spine or a misalignment of the spine, a chiropractor would be your best option. Chiropractors are excellent at healing back pain, spasms and headaches by enlisting muscle and massage therapies, exercises and of course, spinal adjustments. Another misconception? That medical doctors and chiropractors aren’t on the same team. While some medical doctors feel they are superior to chiropractors, and vice versa, both sets have come to acknowledge that patients can benefit from various kinds of treatment, and that the patient’s well being is the most important aspect of their jobs. Hospitals now employ chiropractors on staff, debunking the myth that chiropractors aren’t real doctors. And what of chiropractic care itself? There are many misconceptions about chiropractic care, including the thought that it is painful. Just the opposite is true. The release of pressure of the spine—the “cracking” or “popping” of the back—is a pleasurable experience when administered by a chiropractor. Many people believe that chiropractic care is reserved for just the neck and back, when it is actually useful in many areas of the body. Chiropractic care can be used to treat all types of soft tissue disorders and joint problems, as well as headaches, allergies and in some specific cases, even ear infections. You may be asking yourself—is chiropractic care safe? Chiropractic spinal adjustments are extremely safe but only when administered by a chiropractor. There have been countless research studies to confirm that the risks of serious injury or problems resulting from spinal manipulation are rare; as a matter of fact, it is recommended that this method be used in the majority of lower back pain problems, as opposed to a more invasive solution, like surgery. To quash the rumor that chiropractic care is “quack medicine”, it has been around for over 100 years, and numerous scientific studies have been conducted to provide chiropractors with the safest and most effective healing methods available. Ongoing research provides the doctors with the newest diagnostic methods and treatments, ensuring the most up-to-date, scientific measures for patient care. Once you commit to Frisco chiropractic center, don’t worry; it is not a lifelong commitment! Many patients see a chiropractor to ease an ailment or injury, while others maintain an ongoing relationship with their chiropractor, engaging in preventative care. While preventative care is best—just like well check-ups with your regular doctor or cleanings and exams you’re your dentist—regular adjustments to your spine would be most beneficial. Your spine experiences normal use by walking, sitting, driving—all can take their toll. By continuing chiropractic care, a patient is less likely to sustain an injury because their body is adjusted for it. While this may not be true for every instance, it is just like preparing your muscles for a long run; the likelihood of injury is diminished due to preventative care. This proactive care can help you avoid problems in the future and help you feel better, move with more freedom, and stay healthier throughout your lifetime. While it is not necessary to continue chiropractic care once you start, it is a recommended part of the preventative care of your body. To round out the misconceptions about chiropractic care, many people believe it is very expensive. Quite the contrary; chiropractic care is often very affordable and very worth the cost. Just like anything else of value, there are maintenance costs involved and none more important than your body! There are some insurance plans that cover chiropractic care costs and many doctors accept payment plans, depending upon your situation. Overall, the cost of chiropractic care versus the care of a medical doctor is substantially less. 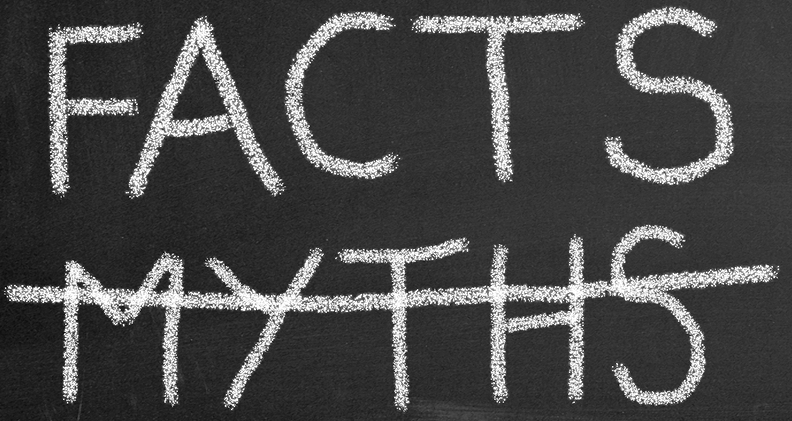 The myths about chiropractic care are commonplace and often just that: myths. It is important to know that manipulation of the spine is best left to the professionals and that “cracking” your own back or having someone press on your spine can cause more harm than good. As with any major life decision, from buying a house to contemplating health care, make sure you have conducted ample research to make informed choices.